There many things powerful enough to disturb the life on the Earth. Earth quakes, Tsunamis, volcanic eruptions, terrorism and nuclear blasts etc. All these forces affect the land, even the continent but their effects are quite localized. When we turn towards the changes in temperature of earth the whole story changes, it represents the greater threat than anything else humans have faced in recent time. 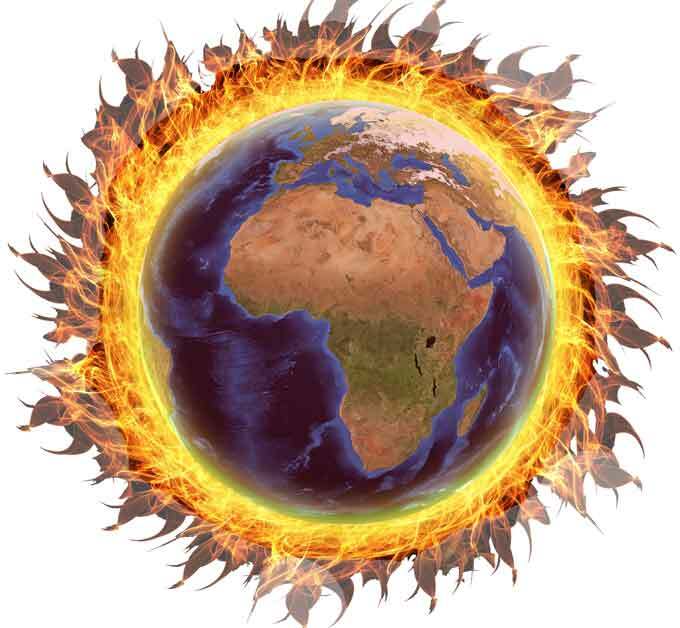 Global warming is the gradual rise of the earth’s average temperature. Its effects on the life are very devastating, forcing many species throughout the globe into extinction, making them harder to survive. Earth has gone through many temperature changes before and several ice ages. The temperature changes in small amount but the impacts are very large. When earth warmed up, it melted the ice. When its temperature decrease, ice builds up. These are the few effects of global warming. Rise in Ocean level – Melting glaciers rise the level of ocean and cause flooding in coastal regions. Animal migration – Which cause the food chain to be disturbed and may cause extinction. 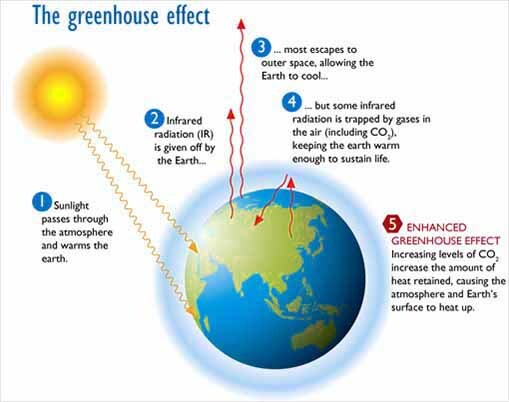 Global warming is mainly caused by greenhouse effect. A greenhouse keeps its inside air hotter than the atmosphere. Earth’s atmosphere acts much like the same way because its atmosphere contains greenhouse gases. The Surface of the earth is heated when sun is shining but when sunsets, greenhouses traps heat and keep the atmosphere and surface of earth hotter. Greenhouse effect support the life because it keeps the heat trapped in the atmosphere. Problems occur when the amount of greenhouse gases increase in the atmosphere, which traps more heat than it is necessary and rise the average temperature of earth. As humans are developing, their consumption of fossil fuel is increasing, which is producing a lot of carbon dioxide gas (a greenhouse gas). Amount of carbon dioxide in the globe has increased to 380 ppm from 280 ppm since industrial time. Another reason is the reduction in the number of trees by human activities. Trees consume carbon dioxide in photosynthesis process to make food. Now amount of carbon dioxide gas is increasing and number of trees is decreasing, it is definitely increasing the average temperature of earth and putting the life on the earth in danger. Abdul Wahab, "Global Warming," in Science4Fun, April 13, 2019, http://science4fun.info/global-warming/.